I was in a charge last week, and it was terrible. We lost over 100 killed and wounded. One of those who joined with me in Oldham got shot through the eye and the other one was wounded and missing. I shall never forget Christmas Day in my life. About nine o’clock on Christmas morning, the Germans and ourselves declared peace for a couple of days and you can imagine what it was like. It seemed very funny to be able to walk about on the top of the trenches. The first job we had was to bury all our dead, and we had a lot to bury, who had been lying there since the charge. We buried about 70 men. While we were doing that the Germans buried theirs. After that, we had a good time the rest of the two days. We were talking with the Germans and exchanged souvenirs. The Gordon Highlanders were with us in the trenches, and they had bagpipes with them, so we had a bit of a Christmas concert. I got a helmet off one of the Germans, but I can’t carry it about with me. We got a Christmas present from the Princess Mary today, a small brass box engraved, containing cigarettes and tobacco and a pipe and Christmas card…..
25th Dec 1914. SAILLY. In the morning, the enemy in front of A and B Coy’s trenches signalled for an Officer. One went over to their trenches and an armistice was agreed upon until 4.00pm for the purpose of burying the dead lying between the trenches from the night of 18th Dec. There was no firing on this day and the bodies were buried near the trenches. 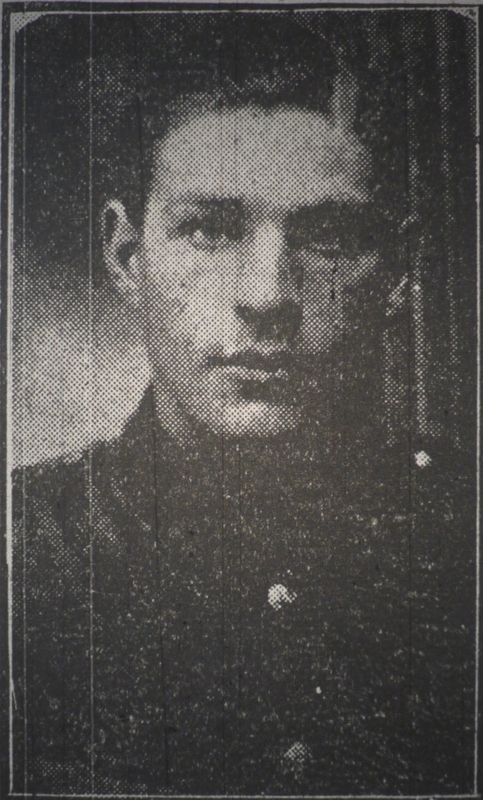 Private Harry Twidale joined the army on August 1914 at the age of 16 and was sent out to France in October 1914. He was wounded at the battle of Festubert on 15 June 1915 and after a short leave at home was drafted out to Gallipoli where he was wounded in the Suvla Bay landing. He was wounded again on the first day of the Battle of the Somme, 1916. After the war Harry worked as a commercial traveller and married Nelly Waddington in Bramley, Yorkshire on 16 December 1922. They had a daughter Audrey born in 1924. He died in 1930 and is buried in Delph, Saddleworth. Thanks to Anne and Rod Jones for this great blog post.